Pearl Cohen Zedek Latzer Baratz (“Pearl Cohen”) is an international, full-service law and patent firm with offices in central locations around the globe: Tel Aviv, Haifa, New York, Boston, and London. 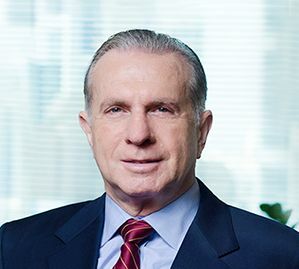 Due to the firm's exclusive multi-jurisdictional presence, Pearl Cohen's practice leaders excel in cross-border intellectual property, commercial, corporate, hi-tech, securities, litigation work, and more. Our professionals around the world constitute one global team. We collaborate seamlessly to bring the highest level of service to our clients, who benefit from our professionals’ diverse backgrounds and thorough knowledge of the law and cutting-edge technologies. Pearl Cohen represents innovation-driven enterprises ranging from large Fortune 500 companies to early stage startups, as well as entrepreneurs, investors, academic institutions, and government-related entities. Our global offices work together effectively to provide clients with integrated legal services, advising on Israeli, U.S. and European legal issues. In addition, we have dedicated teams of lawyers for advising on legal matters concerning the Russia and the CIS, Ibero-America, Canada, and the Asia-Pacific region.